Our comprehensive, browser-based online cash management solution gives you desktop access to a package of powerful financial services. Summary balances are provided for DDAs, Savings, and CD accounts. Internal Transfers: Transfer funds between your accounts. ACH origination includes Direct Deposit of Payroll, Consumer Credits and Debits, State and Federal Payments, and more. Positive Pay: Provides fraud protection on checks. Marble Cloud (formerly IronKeyTM) – Trusted Access provides our business banking clients an additional level of security. No software installation is required for basic software users. You can obtain downloads of new releases and enhancements with a simple click of your mouse. 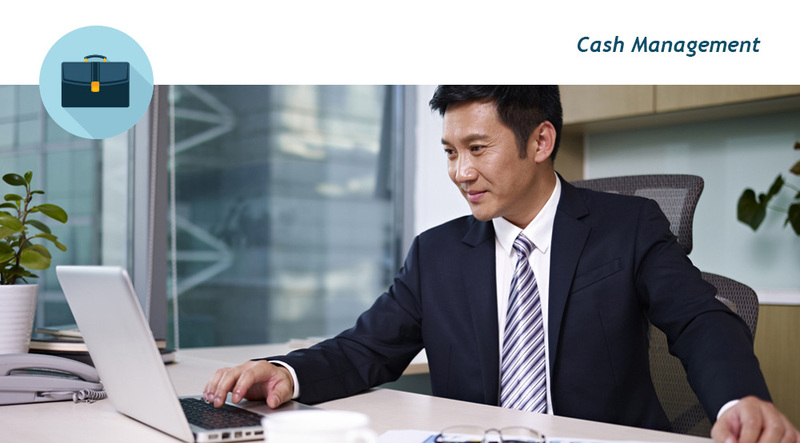 The easy-to-use, intuitive browser interface enables you to perform cash management functions quickly. Fast, 24-hour access to programs, information and services enables better-informed business decisions. Please reference our current Schedule of Charges for Business Banking to determine fee and service charges associated with these services.